The villa is on two floors. On the top floor, there’s the lounge, dining area, kitchen, a lovely master suite and three double bedrooms. You have terraces in both directions to make sure you can always find or avoid the sun! On the first floor, there’s an enormous room with Smart TV with loads of English channels and a pool table! You also find another master bedroom, with bathroom en suite. 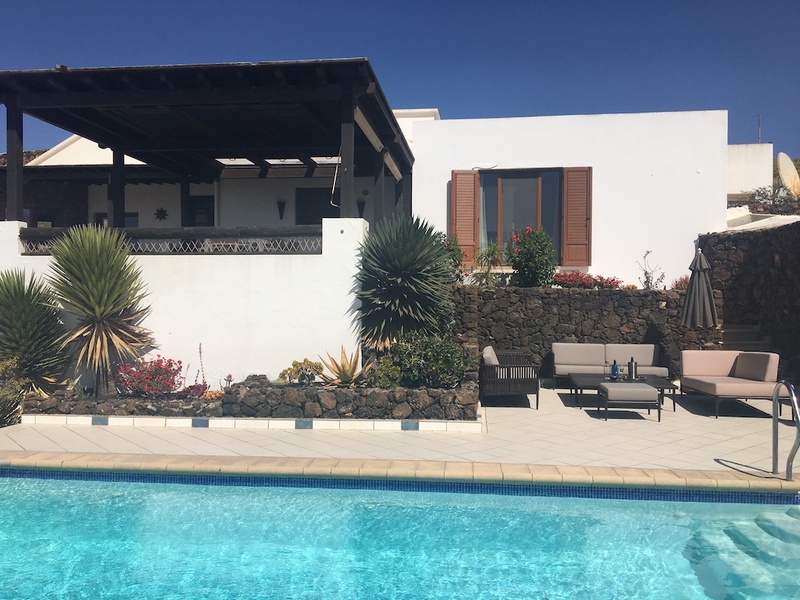 This is a big property – around double the size of the usual Lanzarote villa, at more than 300 square metres, and the garden is around 1.5 acres. That means there’s a lot of space for everyone to do their own thing. 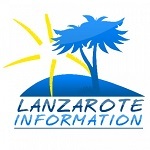 The outside areas are what villas in Lanzarote are all about, and Villa Viha has two terraces, a private, heated swimming pool and barbecue area, as well as a pétanque (bowls) court, set in the mature gardens. The views from Nazaret are breathtaking – you can see a total of 22 volcanoes across the island, and the city of Arrecife, only ten minutes drive away, sprawls beneath you. The village itself is home to LagOmar, a property once owned by Omar Sharif, which has a museum and an excellent restaurant within the grounds. It’s also a fabulous location for outdoor enthusiasts – there are loads of running, walking and mountain bikes trails in the area. Nazaret is central in the island – the town of La Villa de Teguise, home to the famous Sunday market is five minutes drive, the resort of Costa Teguise and it’s fabulous beaches is just 8 minutes away, and for surf fans, Famara is about 15 minutes away. Getting to the villa from the airport is an easy 15 minute drive and we’d recommend hiring a car. Luxury touches include the heated swimming pool, air conditioning and hi speed wifi. The property also has an alarm system and a safe. Villa Viha is perfect for a large family, or a two family holiday, with plenty of space for everyone. Get in touch today, using the enquiry form below to find out more, direct from the owners. Villa Viha has a dishwasher and washing machine and is equipped with all the utensils. crockery and cutlery you need for a large group holiday. The kitchen is especially well equipped. The nearest small supermarket is only 12 minutes walk away. Price per week starts at €1680 for up to 8 guests. Please contact for price for your dates.